Last week, residents at our Nashville home were excited to experience an exceptional performance and testimony by singer/songwriter Kari Jobe. Kari Jobe found common ground with the girls as she quickly stated upfront that she just wanted to be real and kick her shoes off. Kari was tearful as she genuinely communicated her heart for our residents. The girls were deeply encouraged as she sung about the love of God. Kari also shared her own testimony, reminding the residents that the Lord always brings ‘beauty from ashes’. She challenged the girls to be patient with the healing process and to allow their emotions to line up with the truth of who God says they are. Kari closed the morning with prayer and then took some time to answer a few questions. Kari’s time was so sweet and we are looking forward to seeing her in the future! Here is what a few of the girls had to say about Kari Jobe’s visit. 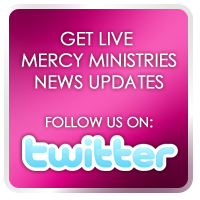 Click here to view a short video clip of her time at Mercy Ministries. To learn more about Kari Jobe’s music and ministry, visit her website at www.karijobe.com.